The province of Utrecht does not seem to be very important. However, in the last years of the war, a lot of headquarters moved to the city of Utrecht because it was safer here than at locations near the coast. Commandoraids on the radarstation Cap d'Antifer and the drydock at St Nazaire proved that vunerability. The Admiral in den Niederlanden moved in a Fl 250 (without a tower) near the Oog in Al hospital. This bunker was demolished in 1998. The staff of 88th Armycorps had its quarters at first in the city of Utrecht, at Het Janskerkhof in a look-a-like Sk1. Later on it moved to Bilthoven, which is just east of the city of Utrecht. We also paid a visit to a big post-war Dutch communication bunker in Bilthoven. Besides the works in the city, a defenceline was set up in the very last years of the war. 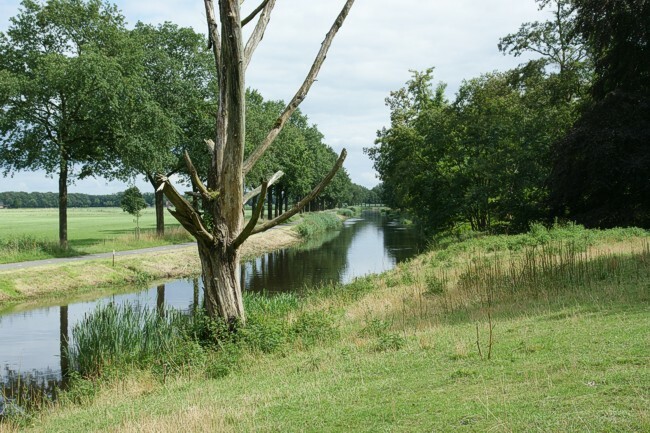 In the end of 1944 the construction of this line, which served as a protection of the inner heart of Holland, was started. It mainly consisted of fieldworks but quite a number of newly designed Pak casemates (703) were built too. Many of these 8.8 cm Pak casemates remain as a reminder of this last effort to resist the allied strenght coming from the east. Henk Adriaanse competed this chapter in 2011 and we cover the Pantherstellung in the Netherlands here as one item. In the Pantherstellung existing waterways were also used as tankditches.